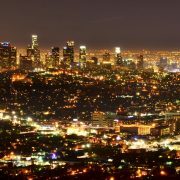 Report shows LADWP’s lag in solar deployment,by Christian Roselund, PV Magazine, April 10, 2019. It’s not often that a city transit authority gets to look cool and cutting-edge. But sometime next month, the Antelope Valley Transit Authority (AVTA) — a public bus operator that serves a region north of Los Angeles at the bottom tip of the Mojave Desert — will pass a pretty awesome tech and environmental milestone: its electric transit buses will have run for 1 million miles. Those account for the miles driven by 30 electric transit buses that the AVTA bought from BYD, a Chinese bus maker that also built a large factory (that employs hundreds) in the Antelope Valley city of Lancaster. Those electric miles saved the agency $310,000 in fuel costs, reduced its carbon emissions, cut local air pollution and helped AVTA meet the California mandate that says all transit agencies in the state need to start buying zero-emissions buses starting in 2029. Later this year, AVTA will replace its entire fleet of 75 buses with all-electric ones. When those buses are up and running, AVTA will be one of the first transit authorities to adopt a 100 percent electric bus fleet in the U.S., and it’ll be able to boast an annual carbon emissions reduction of 1.3 million pounds. Local residents won’t all necessarily care about the emission drop but will like the quiet buses that don’t pollute the air and give kids asthma. Transit agencies across the country are considering zero-emission bus options. Even though battery electric buses are still more expensive to buy than diesel-powered ones, new options such as lease financing and state incentives are making electric bus purchases a lot more attractive. Generate Capital provides lease financing for BYD buses. There no doubt will be growing pains with this technology transfer. For example, the city of Albuquerque, New Mexico, wasn’t happy with the range of its BYD electric buses, ended up returning them and sued the company. Then, Albuquerque bought “clean diesel” buses from BYD competitor New Flyer. But guess what? Clean diesel is just diesel. This wouldn’t fly in California after 2029. There also are no fuel savings. BYD also has some haters because, quite frankly, it’s a Chinese company selling to Americans. When I interviewed BYD’s former head of its Heavy Industries division, Macy Neshati, last year, he said when he first joined the company years ago he was surprised by a lot of the negative sentiment he faced, particularly in Washington, D.C.
A short time after our interview, Neshati left BYD and joined — wait for it — AVTA as its CEO and executive director. He’s now helping head up the 100 percent EV bus transition at the agency. BYD’s Lancaster factory workforce is made up of local Lancaster residents who assemble 12 types of electric buses in a half-a-million-square-foot factory. It’s the kind of green industry — like solar panel installation, wind turbine technician, electric car assembly — that many regions need to bring in jobs and kickstart development. 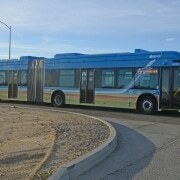 Electrifying miles and milestones for the Antelope Valley Transit Authority’s buses, by Katie Fehrenbacher, GreenBiz, April 10, 2019. PALMDALE — Palmdale’s road to providing electricity to its residents by forming a Community Choice Aggregation program was further paved Tuesday as the City Council approved a number of measures intended to lay the foundation for the entity that officials hope will mean lower energy bills for residents. The council on March 19 decided to proceed with joining California Choice Energy Authority, the joint powers authority that brings together individual cities’ own Community Choice Aggregation programs, including Lancaster’s. Under the program, the city will purchase electricity to sell to residents, but Southern California Edison will continue to provide and maintain the infrastructure. Residents’ electricity bills will have two components, one paid to Edison for these infrastructure costs and one to the city’s aggregation program for the electricity itself, which may be obtained at a lower rate, officials said. With a changing landscape of rules and fees for these types of programs, it is not yet known for certain how much the savings may be, but one calculation provided by city staff last month suggested a savings of 50 cents on a $100 monthly electricity bill. The council approved, on 4-1 votes each time, four separate items regarding establishing the program and paying for the startup costs. As before, Councilwoman Laura Bettencourt was the lone dissenting vote on each of the items relating to the program, voicing concerns she still has about its effectiveness. “I hope one day you prove me wrong, but at this moment I am not convinced,” she said. The council approved an ordinance to establish the program and a resolution authorizing joining the California Choice Energy Authority, as well as an agreement with Southern California Edison. The council also granted authority to City Manager James Purtee to submit bond payments and to negotiate and finalize agreements relating to starting the program. The state Public Utilities Commission requires a $100,000 bond to start a CCA, money that is held in case the program is unable to operate and Edison is needed to step back in to ensure electrical service continues unabated, Energy and Technology Manager Ben Lucha said. There have been some changes to the proposed program timeline since the council’s March 19 decision, Lucha said. Instead of a May 2020 start, the city is now looking at September 2020 for residential customers, and May 2021 for commercial customers. This slip is due to changes happening with Southern California Edison, he said. The later start date, however, means the city may not need as much as $700,000 originally planned to be set aside to show the state it has the ability to pay costs before revenues are sufficient. Without the need to make this proof until April 2021, staff believes the city should generate enough revenues from the program itself to cover that amount, Lucha said. As part of the March 19 decision, the council authorized transferring up to $1.5 million from the General Fund reserves to pay for the startup costs. The $700,000 was part of that transfer that may instead be returned to the reserves. Even after these steps have been taken, the city still has opportunities to back out of the effort before purchasing energy prior to the start date, officials said. “There’s off-ramps at each one of these junctures,” Mayor Steve Hofbauer said. 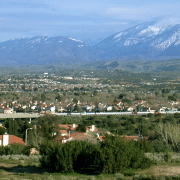 Palmdale moves toward new energy plan, by Allison Gatlin, Antelope Valley Press, April 4, 2019. 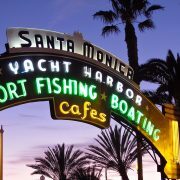 Santa Monica Businesses Transition to Green Power Starting in May, Press Release, City of Santa Monica, April 4, 2019. 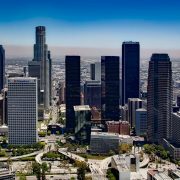 LOS ANGELES–(BUSINESS WIRE)–Apr 2, 2019–A broad coalition of business, environmental and civic leaders today called on the Los Angeles Department of Water and Power to increase and accelerate its goals for generating local renewable energy, urging the utility to immediately expand a successful pilot program allowing hundreds of building owners to install rooftop solar panels and then sell the electricity generated into the utility’s power grid. Business, Civic Leaders Urge LADWP to Step up Local Solar Goals to Fill Gap from Phased out Power Plants, Press Release, Business Wire, April 2,2019. Clean Power Alliance: Providing clean energy and empowering communities, by River City Bank Staff, River City Bank, March 28, 2019. Big batteries are coming to Southern California, by Christian Roselund, PV Magazine, March 27, 2019. 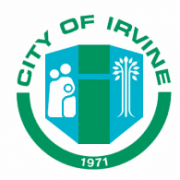 Irvine Looks to a New Renewable Energy Source, by MZ Charlet, Voice of OC, March 22, 2019. PALMDALE — The City Council will decide tonight whether to proceed with forming a Community Choice Aggregation pro­gram, in the hopes that the program may give it the ability to provide elec­tric­ity to residents at lower rates by negotiating power pur­­chases directly with en­er­gy producers, instead of Southern Cal­ifornia Ed­ison. The meeting begins at 7 p.m. in the Council Cham­bers at City Hall, 38300 Sierra Highway, Suite B. Should the Council de­cide to move forward with such a program by June 2020, it will need a loan of $1.5 million from the city’s General Fund reserves in order to cover the start up costs, which have not been budgeted, according to the staff report. The program will not be able to generate enough revenue to pay back the loan until 2023, at the earliest, depending on the rates set for the program. In addition to the start up costs, the city will also need to budget for ongoing op­erating costs in the 2019-2020 fiscal year, which be­gins July 1. According to the staff report, this may re­quire another loan from the General Fund reserves of up to $2.5 million. With the program set to begin in June 2020, it is not expected to generate the revenue to recoup op­erating costs until at least August 2020. 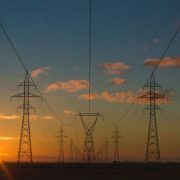 These op­er­ating costs in­clude power pro­cure­ment, staff­ing and ad­min­is­tration and con­sult­ing, among others. The additional start up and operating costs will include tentatively recruiting two and a half new positions on city staff to administer the program, according to the staff report. One position, a senior management an­al­yst, would be needed dur­ing the current fiscal year as part of the start up process. A senior fi­nan­cial analyst and half the fund­ing for an ad­min­is­tra­tive assistant would be required at a later date for operating the program. In a study produced by California Choice Energy Auth­ority in early 2018 es­ti­mated customers would save 1% of the en­er­gy production costs of their electrical bills, or ap­prox­imately 50 cents per month for the average household. In December, the City Coun­cil directed staff to submit its intention to join Lancaster’s Com­mu­nity Choice Energy Auth­or­ity pro­gram to the Cal­if­or­nia Public Utilities Com­mis­sion as a means of main­taining the option to proceed with the program with further study, but not yet fully committing to it. The city nows faces an April deadline to provide ad­di­tional information sta­ting its intentions. This sec­ond phase of the process has a $160,000 price tag, which is not in the current bud­get, according to the staff report. The Lancaster CCEA has five member cities, in­clu­ding Lan­cas­ter, and anoth­er four are con­sid­ering joining. 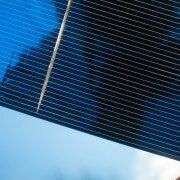 With Palm­dale, it would make an or­ganization of 10 mem­bers. Questions the Council had asked staff to in­ves­tig­ate in December remain, in­cluding uncertainty in the changes to policies and fees made by the Cal­if­ornia PUC with these types of agreements, in part to prevent harm to the util­ities facing an exodus of cus­tomers, which will in­crease energy rates. City to ponder power program, by Allison Gatlin, Antelope Valley Press, March 19, 2019. Members of the South Orange County Community Choice Alliance, along with Surfrider Foundation, hosted an informational meeting about community choice energy (CCE) on Thursday, March 7, at the Dana Point Tennis Club. The movement has gained momentum in the past few years throughout the state of California, which is to provide options to residents about which energy sources they use. The goal of CCE programs is to create joint powers that would negotiate prices and purchase or create renewable energy from a portfolio of sources and transfer that energy to existing infrastructure, which in South Orange County’s case is through SDG&E’s transmission lines. With the state of California’s goal to be 100 percent renewable by 2040, more than 18 of the state’s counties have set up or are exploring plans to establish such utility means. Technical studies can take at least a year before communities start implementing procedural plans. A full story on CCE will be in The Green Issue from Picket Fence Media on April 11. Community Choice Energy Meeting Looks to Establish JPA for Power in South OC, by Eric Heinz, San Clemente Times, March 14, 2019.